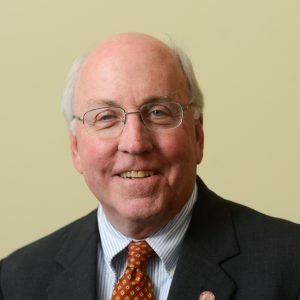 Tommy Tomkins joined the College of Education Board in 2016. He holds a bachelor’s degree in education with a focus in industrial arts and management from NC State. After graduating, he entered his father’s furniture manufacturing company, Cresent Fine Furniture, where he ultimately served as CEO until his retirement. He currently remains chairman of the board. Tommy is a member of Pi Kappa Alpha and has remained active in the Wolfpack Club. In 2014, he established the Charles R. Tomkins III Endowment that will support a scholarship to the College of Education. In his spare time, Tommy enjoys golfing, traveling with his wife, Gracie, and spending time with friends and family at their beach house in Florida.